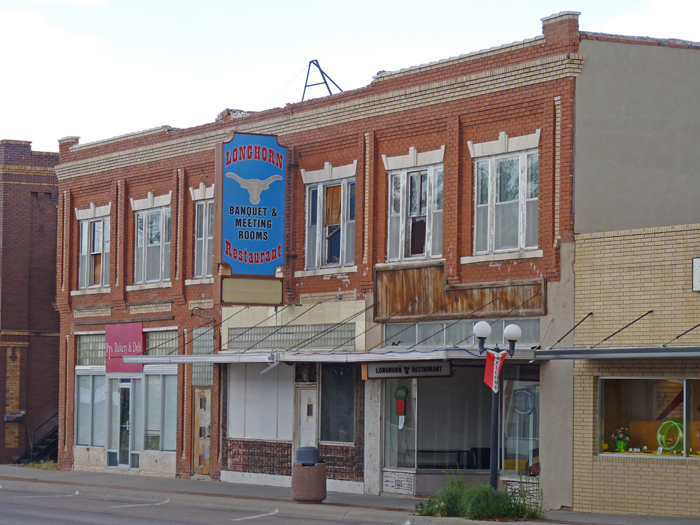 Situated in the south-western corner of the Nebraska panhandle, the town now known as Kimball began in 1867 when the Union Pacific railroad reached this point. A station was opened and called Antelope (herds of antelope roamed the area). The settlement that began to grow around the station was called Antelopeville. Eventually a post office was opened in 1877 and a school was built in 1881. 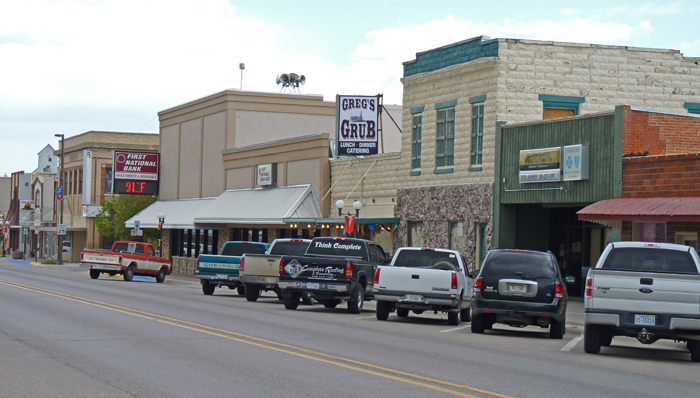 Settlers began arriving from the east, and by 1885 the town had a hotel, a newspaper office and a few shops. 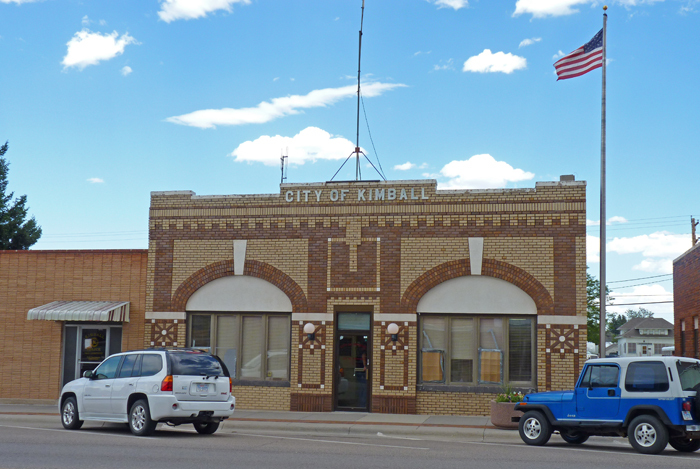 In that year the town changed its name to Kimball, named after an official of the Union Pacific Railroad. 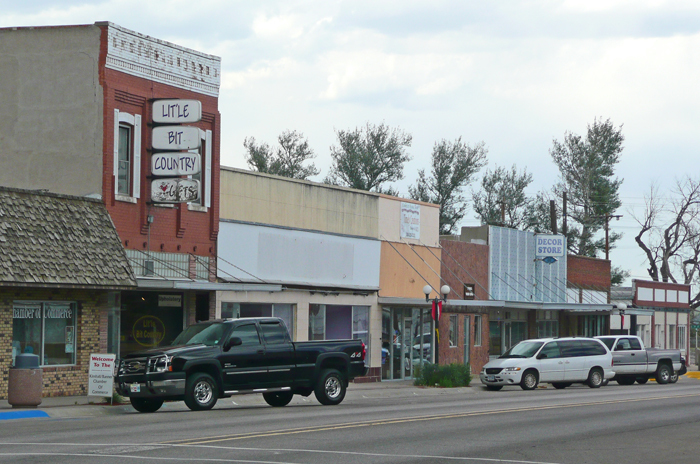 Kimball County was set up in 1889, and Kimball City is the County Seat. 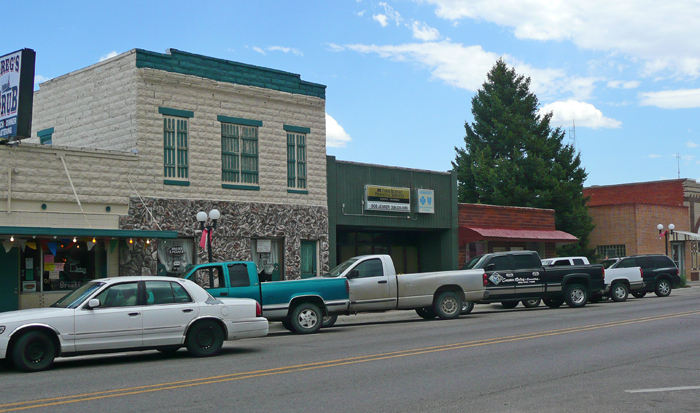 A county courthouse was built in Kimball in 1890. 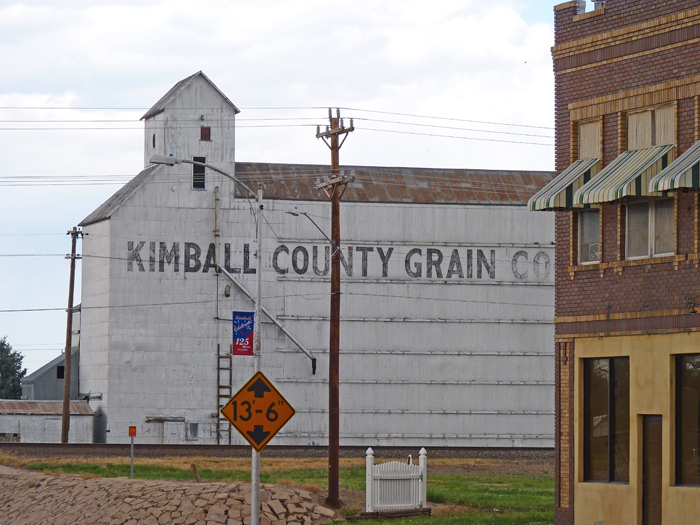 In the early 20th century, manufacturing came to Kimball, although farming was and remains an important aspect of the area. 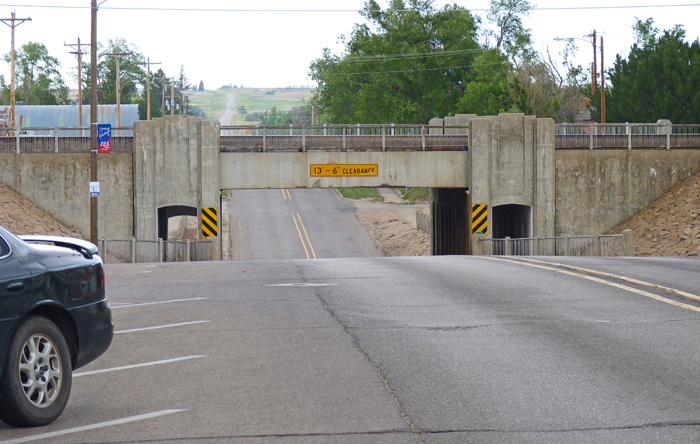 A new highway, now US Route 30 was built through Kimball about 1916, which lead to a boom in road transport in the region. Route 30 remains in place, but is now joined by a parallel running Interstate 80, which provides quick access to locations to the east and west of Kimball. These days, Kimball is home to several industrial and manufacturing companies. The population in 2000 was 2,559. 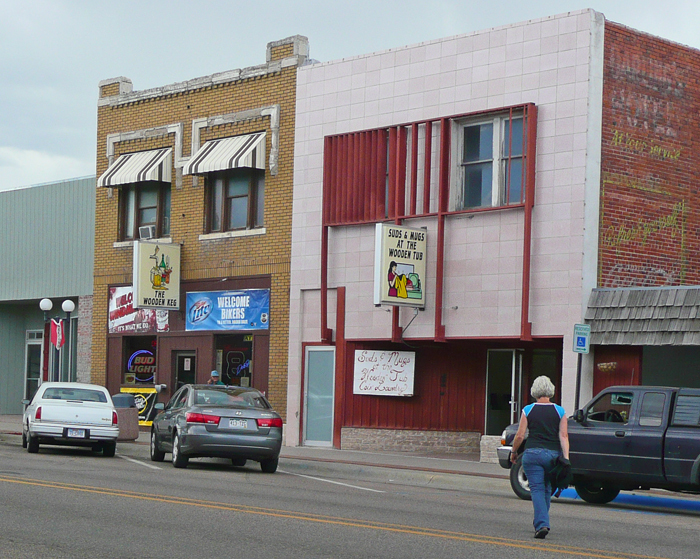 The town slogan is "The High Point of Nebraska", as the highest point in the state is only a few miles from town. The town sees many visitors who are travelling to or from the highest point, which is known as Panorama Point. centre of Kimball County, shown in red above. General View of South Chestnut Street. The 4 pickup trucks parked here indicate the most popular type of vehicle in these parts. Another general view on S Chestnut Street. 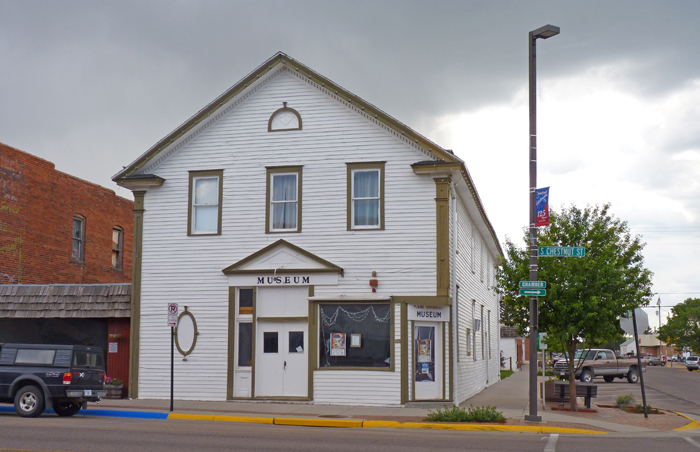 The museum is housed in the former Fraternal Hall, built 1904. 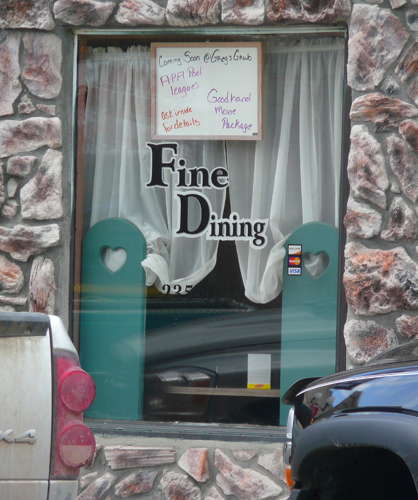 The sign for the local diner has a western covered wagon as its logo. 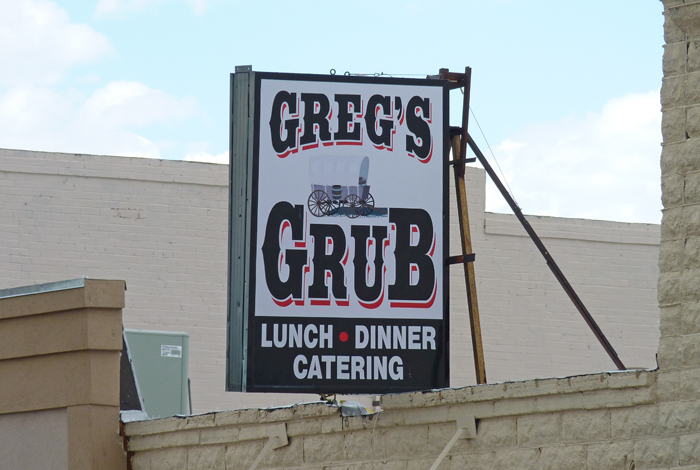 Greg's Grub can also offer Fine Dining. but excavation of the roadway enabled a bridge to be put in place. The Grain Company is an important commercial function, as well as providing local jobs. The Longhorn on South Chestnut Street. 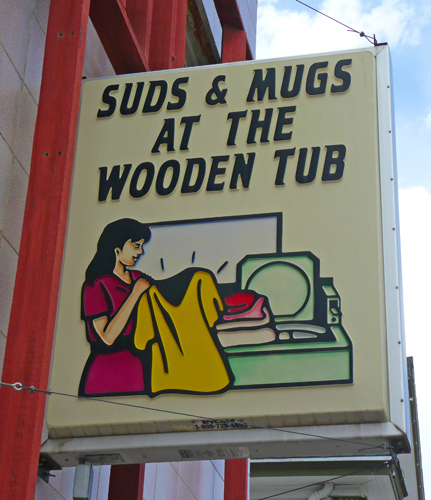 The local pub, called The Wooden Keg, is next door to the laundry - handy if you spill your beer over yourself!